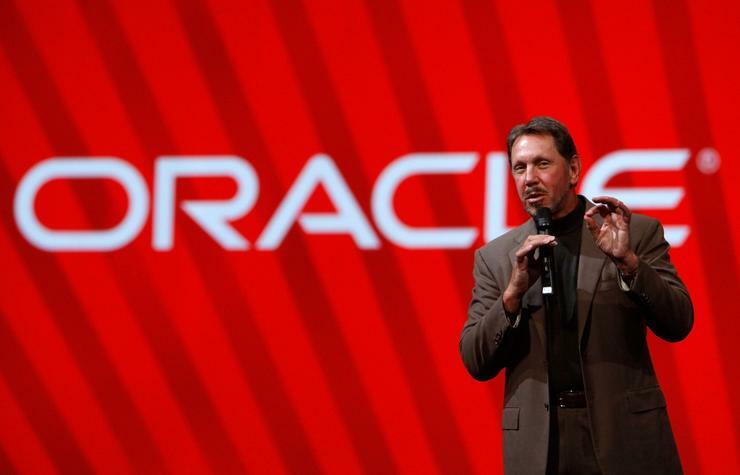 Oracle chairman and CTO, Larry Ellison, is well known for making a big show and dance about his company’s goals to take on the leaders of the public cloud pack, like Amazon Web Services (AWS) and Microsoft Azure. "Amazon's lead is over,” he said at Oracle’s OpenWorld 2016 event at the Moscone Center in San Francisco in September last year, going on to insinuate that Oracle was in line to give the undisputed cloud computing market leader “serious competition” going forward. The sentiment is all well and good, despite Oracle’s current position coming in well behind AWS, Microsoft Azure, Google Cloud and others – at least if Gartner’s 2017 Magic Quadrant round-up for Cloud Infrastructure-as-a-Service is anything to go by. Yet the company is, in fact, making great strides in its cloud business. On 21 June, it revealed that its software-as-a-service (SaaS) business came close to nudging the US$1 billion mark in the fourth quarter of 2017. Meanwhile, cloud platform-as-a-service (PaaS) plus infrastructure-as-a-service (IaaS) revenues were up 40 per cent to US$397 million. Total cloud revenues were up 58 per cent to US$1.4 billion. Analysts have since argued that the company is still in its relative infancy in terms of the maturity of its cloud business. “Oracle is still near the relative beginning of its long transition, with the PaaS and IaaS businesses yet to reach scale, and even the SaaS business is arguably immature,” Technology Business Research analyst, Meaghan McGrath, said in June. Clearly, this is good news for Oracle. It’s probably also good news for Oracle’s partners, both globally and in the local market. This is particularly true for managed service providers (MSPs) which, according to Telsyte senior analyst, Rodney Gedda, are set to play a major role in IaaS growth in the local market, along with the growth of other associated services. “MSPs play a big role because they’re able to offer a managed service around infrastructure that is hosted in their data centre or public cloud,” Gedda told ARN. According to Gedda, the industry is likely to see a shift from IaaS to a mixture of infrastructure and platform, and software-as-a-service (SaaS). Gedda doesn’t expect this shift to result in a demarcation between one offering and the other. Instead, there is likely to be a combination of services at play at the same time, which will occur as organisations become more mature in their capabilities. “And they’ll have either on-demand support staff or in-house support staff to make it happen,” Gedda said, pointing out that the skills shortage in this area will likely be an ongoing problem. This is where MSPs can step in to fill the void. One organisation in the local market making use of such on-demand support is consumer advocacy group, CHOICE Australia, which leant on an MSP for the rollout of its Oracle Cloud-based data warehouse, which was delivered in mid-2015. The MSP in question was Melbourne-based Oracle partner, NeoData, which did the initial build for the infrastructure. With MSPs like NeoData stepping in to fill the skills gap that leaves many organisations scrambling for outside help when undertaking IaaS projects and, indeed, a variety of cloud-related initiatives, Oracle seems well-equipped to keep pace with its current momentum. Certainly, Oracle Australia and New Zealand regional managing director, Rob Willis, is hopeful. “While there remains work to be done before Australian enterprises will achieve the full business benefits they are seeking from IaaS, we are seeing increasing numbers of customers powering ahead with transformation powered by cloud,” Willis said. “This is a move we expect to see accelerate with our recent expansion of cloud infrastructure services delivered locally from within Australia,” he said.